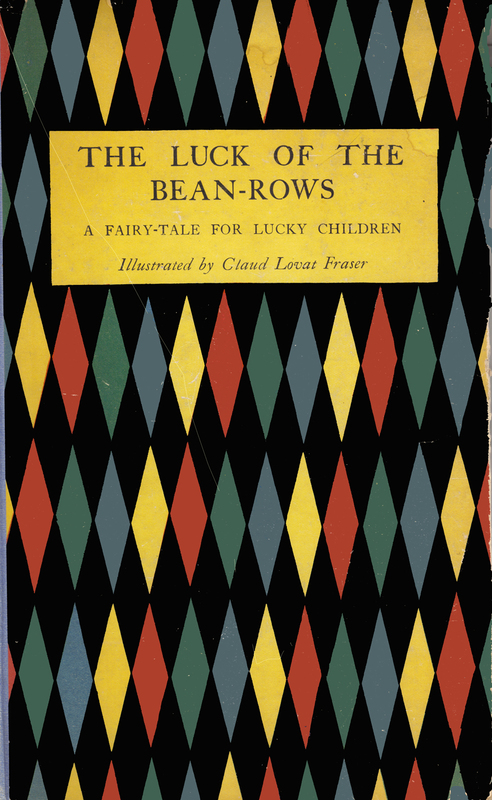 Elfinspell Introduction to The Luck of the Bean-Rows, a Fairy-tale for Lucky Children, from the French of Charles Nodier, illustrated by Claud Lovat Fraser. Illustrated by Claud Lovat Fraser. This story is a "fairy-tale" by a notable French author of the early 1800’s, Charles Nodier. And a wonderful story it is too, with the sweetly understated satirical, funny touches that are typical of the best writers from France. I enjoyed it thoroughly, and I hope Destiny and Ryan, and other kids of all ages, like it just as much. According to the Wikipedia entry, Claud Lovat Fraser, was a veteran from World War I, who became a prolific illustrator, and set designer. He was injured in the war, including suffering from a gas attack and shell-shock (Post-Traumatic Stress Disorder). He died young, from complications of his war-time injuries. Before he did so, he established the Curwen Press, which printed this book with his clever illustrations. I don’t know if he did the translation, but I like to think so. It is dedicated to Princess Mary (daughter of Charles V. and Queen Mary of England), in honor of her marriage to Henry Charles George, Viscount Lascelles, in 1922, the year after this publication. The short verses forming this dedication are nice, almost as nice as the story! By the way, there were only one or two typos in the whole book! A miracle. Now corrected, the original spelling can be found in the source code. Click on the book cover, below, to get started.